I got a mail from Andrew [Alex] who is a member of ‘Teens 4 Safety’ where he with the other members try to spread resources that they think are informative. By doing this, they hope to make connections with other people who can share their years of car knowledge with us. BTW, They also has a website at [http://teencartalk.com] where they discuss car types, car parts, car technology and many more car related topics. 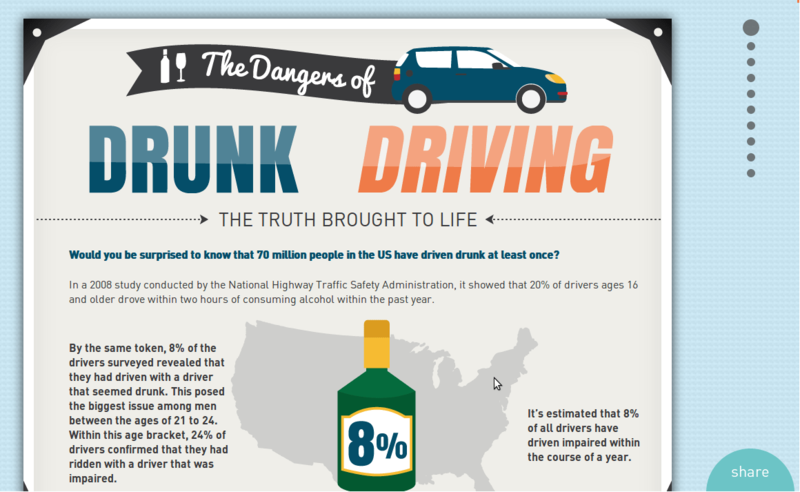 He came across an awesome link where they explain drinking and driving dangers better than anything I’ve seen so far! Dangers of Drunk Driving – Awesome Animated Wesbite!